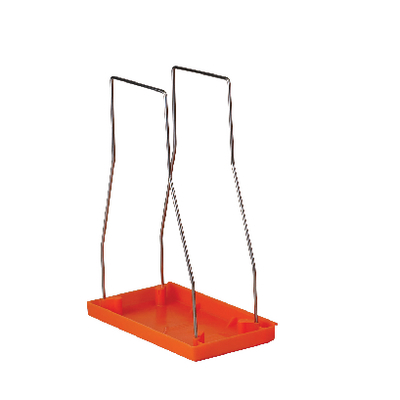 This holder securely supports the bag on a stainless steel wire frame and polypropylene bottom, which also serves as a containment tray in the event of bag leakage. The containment tray is safety orange for easy identification as a biohazard containment system. Autoclavable. Fits 12" x 24" biohazard bags. Autoclavable. Fits 12" x 24" biohazard bags.